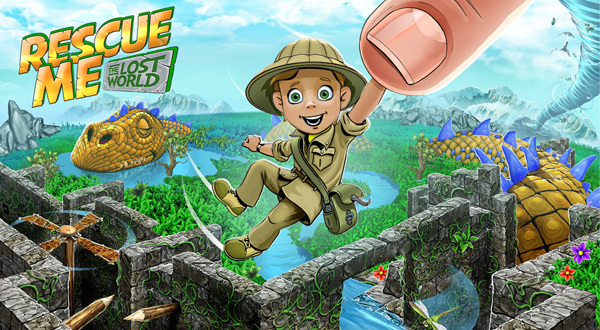 The Lost World is beautiful, but dangerous – you’ll find spear traps, swinging logs, kamikaze pterosaurs and crazy mazes around every corner! Get past all of them to collect all ingredients to cure the giant dragon and save this mysterious land! Ladies and gentlemen, we are proud to announce the sequel to Rescue Me, titled Rescue Me – The Lost World! Keeping Rescue Me’s innovative drag-and-drop controls but switching to a quicker, running game-like gameplay, we can promise Lost World will bring you to another breathtaking adventure. The Lost World is beautiful, but dangerous – you’ll find spear traps, swinging logs, kamikaze pterosaurs and crazy mazes around every corner! Get past all of them to collect all ingredients to cure the giant dragon and save this mysterious land! Also, you can customize your game with numerous skins and upgrades. And of course, there is a Facebook leaderboard where you can compete with your friends. So get ready – the expedition disembarks today!